Easdale in Whiting Bay, Isle of Arran, Ayrshire sleeps 4 people. Easdale in Whiting Bay is ideal for walking enthusiasts; Easdale in Whiting Bay is perfectly located at the bottom of Glenashdale Falls. This walk takes guests up to the falls, Giants Graves and further afield to Lamlash or Kildonan through the forestry tracks. 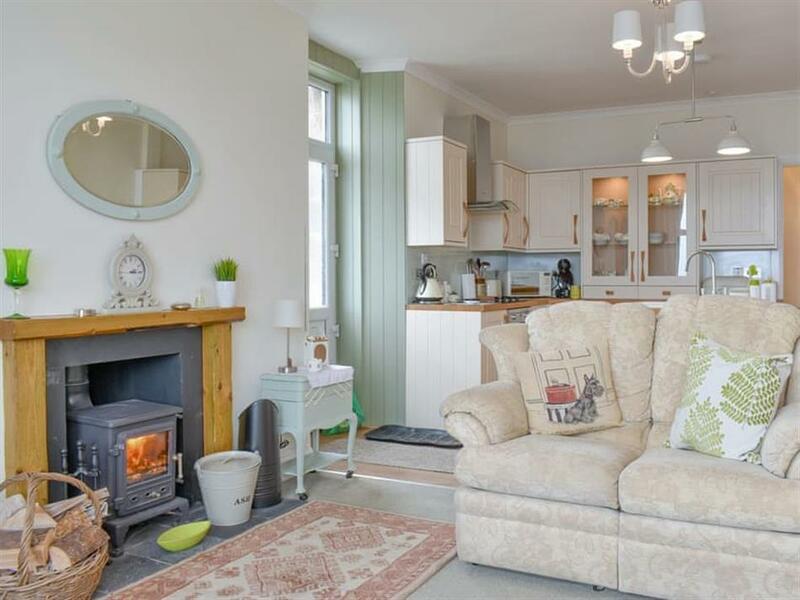 After a day’s walking, guests can relax and enjoy the sea views from this coastal property. Easdale is a ground floor apartment, part of the building that was originally the youth hostel in Whiting Bay. It has been converted into well-appointed apartments with sea views, and is in an excellent location for all village amenities. The living area is bright and spacious with cosy bedrooms and a nautical-themed shower room. A wood burner adds to the ambience of the room on cooler evenings. Outside there is a sitting-out area to the side of the property and private parking spaces, although the driveway and turning areas are shared with the other apartments. In the village there are restaurants, a bar, coffee shop, convenience store, children’s play park, beach, golf club and putting green. Easdale is perfect for a short break and is an excellent base for exploring the island. The beach is opposite Easdale in Whiting Bay. With the shop ¼ mile, and the pub & restaurant are 550 yards from Easdale. 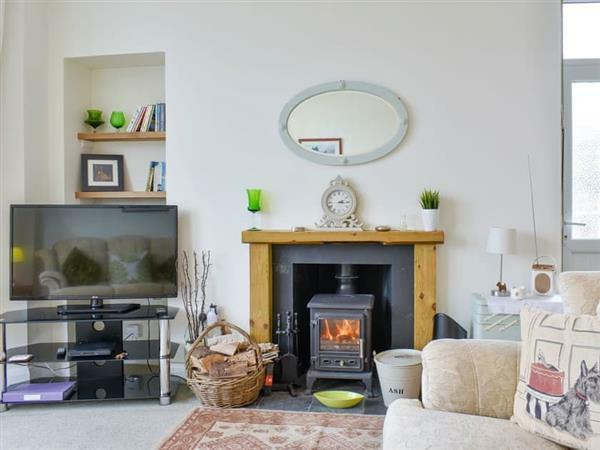 Living area: With wood burner, 40 Freeview TV and DVD player. Kitchen area: With electric oven, electric hob, microwave, fridge/freezer, coffee machine and washer/dryer. Electric central heating, electricity, bed linen, towels and Wi-Fi included. Travel cot and highchair. Small sitting-out area with garden furniture. Private parking for 2 cars. No smoking. Holidays at Easdale run from Monday to Monday. For a better idea of where Easdale is, you can see Easdale on the map below. Do you want to holiday near Easdale (UKA458), you can see other cottages within 25 miles of Easdale; have a look to find your perfect holiday location.